As a global acting industrial company, we identify ourselves with the responsibility for the environment and continue catching up with the goals of our Green Management Programme 2020. This set of mid-term targets aims at a zero environmental footprint throughout the lifecycle of our products and business activities by 2050. Efficient energy consumption and curbing climate change play a major role in an active environmental preservation and in retaining the competitiveness of our production. 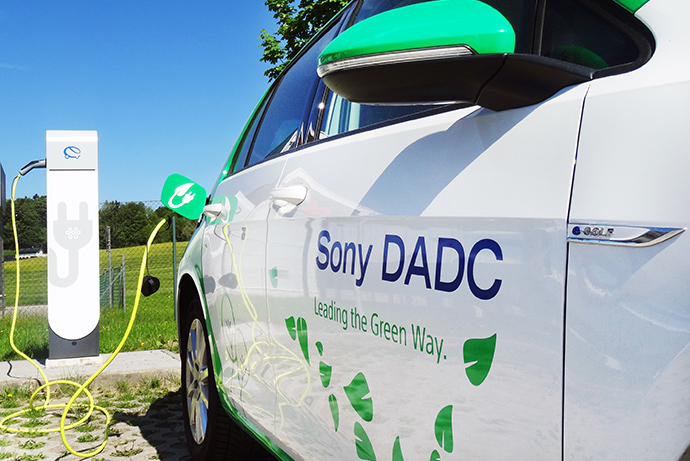 Now, we have taken the next step towards environmental protection by introducing e-mobility at Sony DADC in Austria. Electric mobility is gaining more and more importance internationally – it is the key to a sustainable mobility system that can conserve resources. Currently, the transport sector is accounting for 28% of the total greenhouse gases emissions in Austria. The advantages of electric vehicles, in terms of the environmental impact, are particularly evident during their operation. In addition to traffic noise, electric cars also reduce the fine dust- and nitrogen oxide (NOx) pollution. Electric cars cause 70-90% less greenhouse gases compared to fossil-fueled cars. The distance range of most electric cars with a full battery charge is currently still lower than with a filling of diesel or gasoline. However, with the dynamic development of the batteries in terms of energy density, the distance range is constantly increasing. 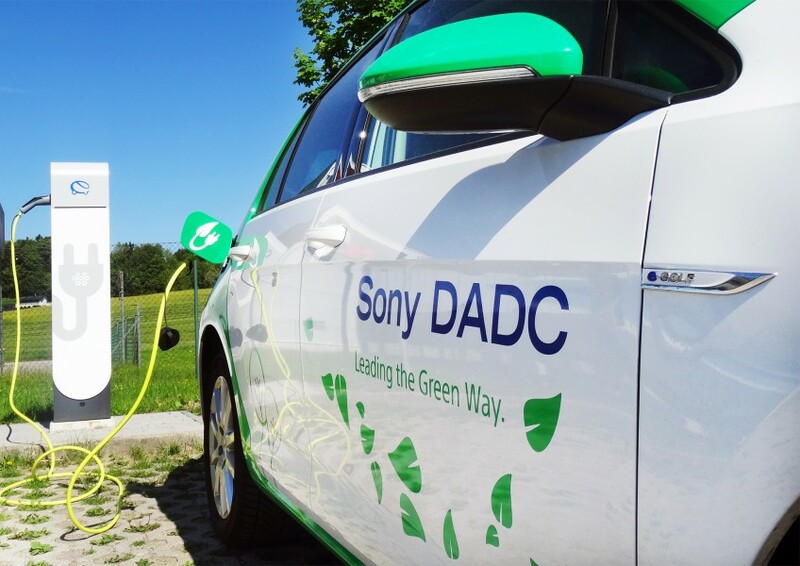 Current vehicle models reach an average of 250 km per full battery charge. This distance is sufficient to cover most of the required transfers between our sites in Anif and Thalgau as well as the surrounding areas. 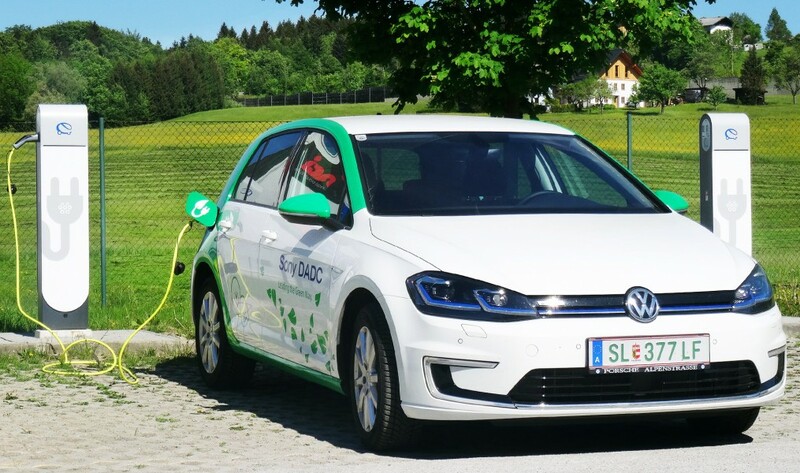 In April 2018 we updated our company pool cars with our very first e-car (VW e-Golf) and installed the infrastructure for charging the battery of e-cars with 100% renewable electrical energy. Two battery charging stations (for 4 cars) are situated in Thalgau and one (for 2 cars) is located in Anif. 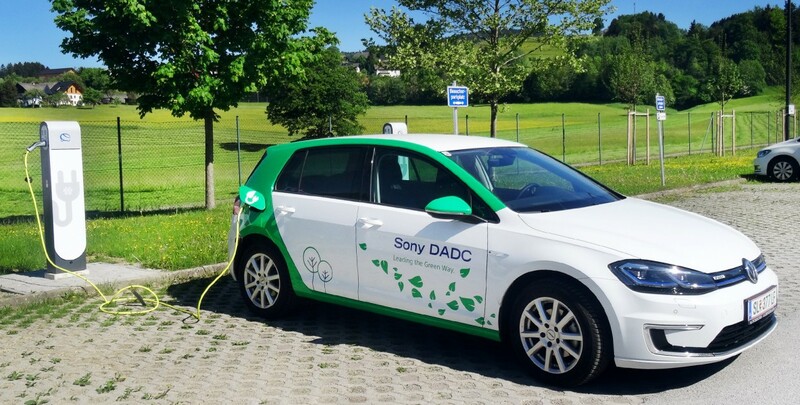 This ensures a „ready to use“-status of the company car at any time and provides our visitors a possibility to charge their e-vehicle when coming to one of our sites in Austria. Driving an e-vehicle is fun! It combines technological and ecological advantages and satisfies our attraction for cutting-edge technologies. However, it also brings us one step closer to reaching our „Road to Zero 2050“ targets.